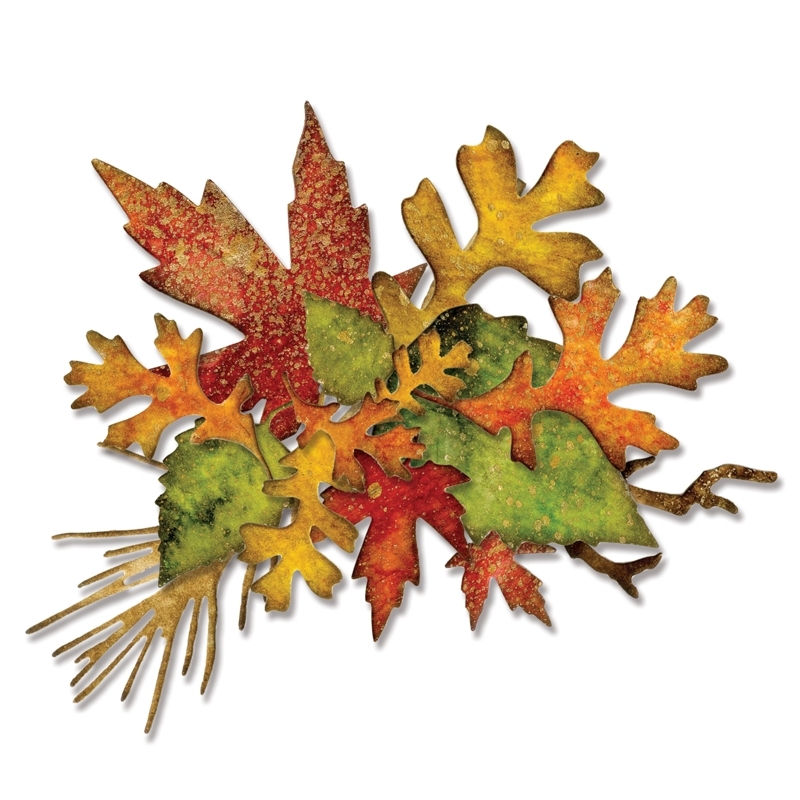 Decorate your next layout with beautiful foliage designs (maple leaves, small branch and other shapes and sizes of leaves). 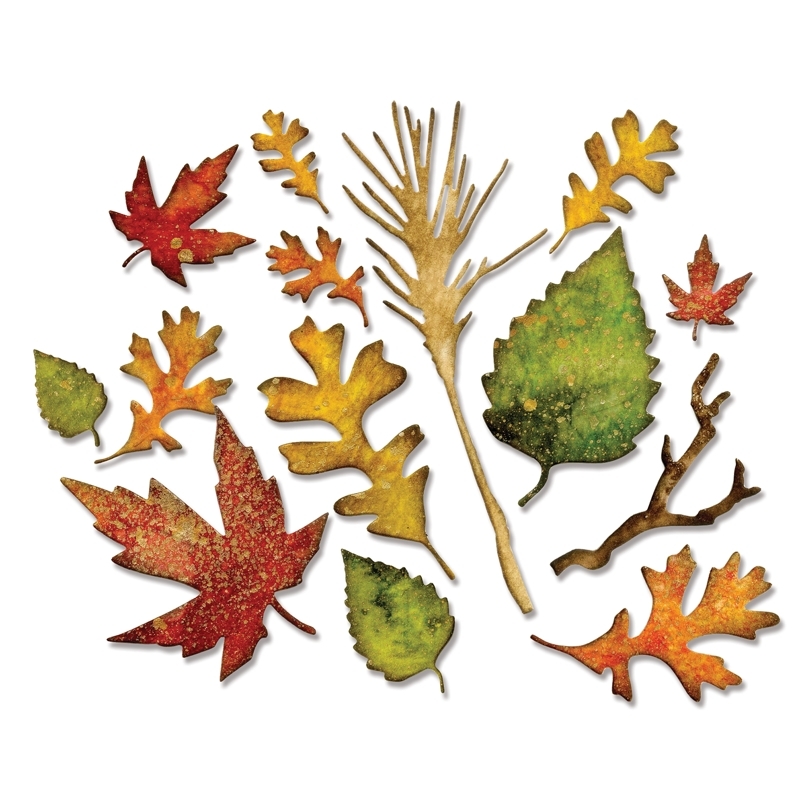 The Sizzix Alterations Collection Tim Holtz Fall Foliage Thinlits Dies are made of carbon steel, allowing you to cut foil, vellum, paper, and cardstock to create impressive projects. 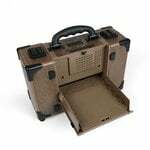 This pack comes with a storage envelope, so organizing your dies will be easy. 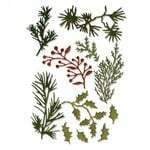 Each die in the set measures approximately: 1 5/8" x 1 3/4" to 3/4" x 1 7/8"
Perfect addition to my foliage stash ... 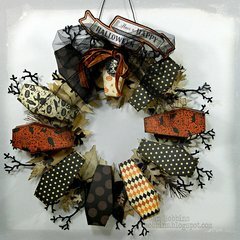 I needed more fall variety for my tags and cards ... other projects too ! 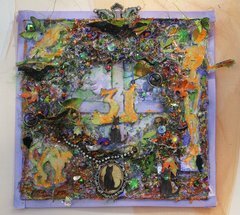 I recently purchased this die by Tim Holtz-Sizzix. 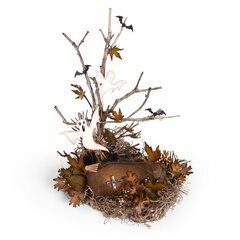 The assorted types of leaves and small twig or branch makes a pretty combination. 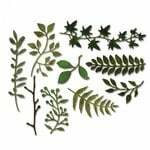 With this set I have such a variety of leaves to choose from and the detail is perfect! I'm a gardner and I know my leaves! I love the die and variety of leaves. As always, the service I have received from you is excellent! 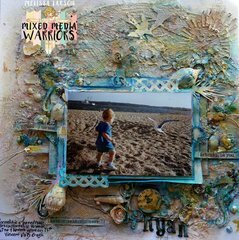 Card making & Travelling are my hobbies of choice - I purchased this collection to make a specific thank you card for a trip using the Maple Leaves, and it did not disappoint ... The whole collection has a variety of type & sizes which allow choices and the die cuts come out crisp and clean and with the slight emboss of the veins is perfect. I chose this die for all the different leaves in one package. Love it! 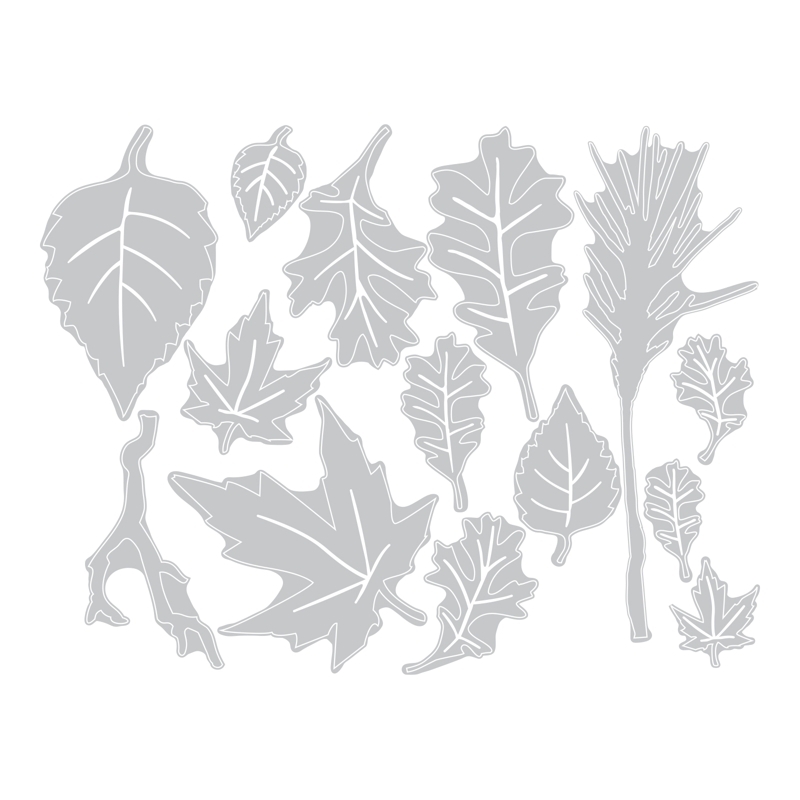 I have the Vintage Leaves set from Stampin' Up and have cut hundreds of them in the last couple of years. I stamp, sponge and die cut, then sponge the edges. Then I generously streak Glossy Accents all over the leaves with the random streaks loosely following the veins of the leaves. 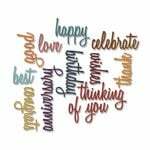 This has been a great set to use on my fall cards, particularly with the Hardwood stamp background (from SU) or the Woodgrain embossing folder. 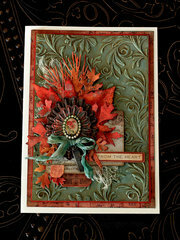 THIS set by Tim Holtz just rounds out the versatility of the SU set! I followed the same procedure (except the initial stamping). I traced a rough line around the dies on a page of white cardstock, sponged those shapes appropriately and loosely, then placed the dies and cut them. 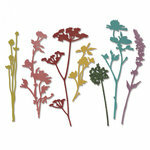 They are much smaller than I had expected but they work great with my Stampin' Up Vintage Leaves. Great addition. 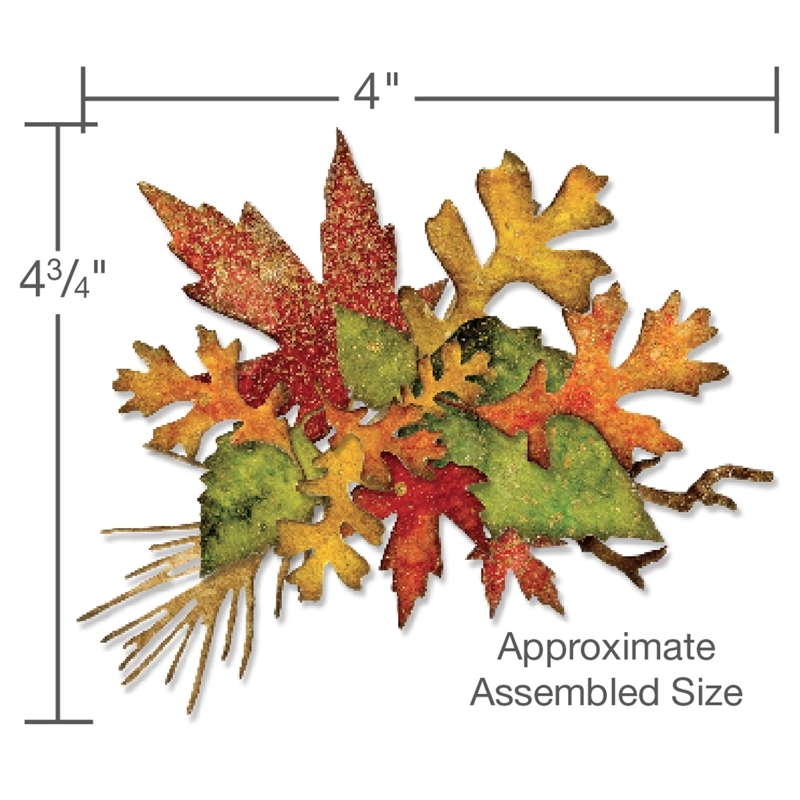 This is a wonderful variety of fall leaves in two sizes. The dies cut and emboss for a realistic look. There are 14 different dies in this set. I highly recommend it. 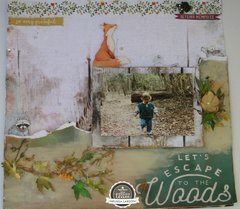 I'm new to Tim Holtz products. Thinlit dies look great. 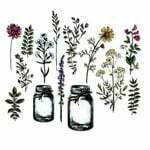 Can I use them like stencils? By: debkaycarter (12-Jan-19) Helpful Question? Yes | No Thank you! Report Inappropriate This question has been reported. Thank you! 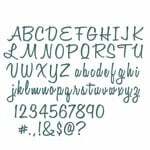 They are a solid metal shape so you could outline with them, but they are not an open product to stencil the details with. They have a cutting edge to use in a machine that is capable of cutting paper, fabric, etc. such as the Sizzix machine 'Big Shot', etc. By: birdymum (16-Jan-19) Helpful Answer? Yes | No Thank you! Report Inappropriate This Answer has been reported. Thank you! Will these dies work in the Spellbinders Grand Calibur machine? I hope so because I love these!!!! By: MBB1961 (28-Oct-16) Helpful Question? Yes | No Thank you! Report Inappropriate This question has been reported. Thank you! I am not familiar with your machine so I do not know if they will work. I have a big shot. 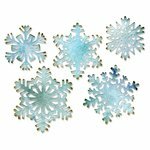 They are flat wafer thin dies and if you can use other sizzix or spellbinder dies in it then you may be able to use them. I found they cut best using a base plate. By: LauralsAttic (30-Oct-16) Helpful Answer? Yes | No Thank you! Report Inappropriate This Answer has been reported. Thank you! Yes, they will. You will need a base plate (A plate) & the white cutting plate. :) By: artandcatloverinjville (15-Apr-17) Helpful Answer? Yes | No Thank you! Report Inappropriate This Answer has been reported. Thank you!